Sponsorships have long been key to exhibitors’ success at trade shows. The symbiotic relationship helps both parties, as companies sponsor exhibitors as a means of directly connecting with a specified target demographic. However, the proliferation of sponsors is making it increasingly difficult to stand out. Question and answer sessions – Want to connect with your target market? Why not speak with them yourself? Giving sponsors a platform to hold Q-and-A forums helps them directly connect with attendees on a personal level. Brand everything – Seriously, everything. Give out snacks and drinks, with the sponsor’s logo on the wrapper. Get the people manning your booth to wear branded shirts. Hand out sponsor logo pens, notebooks, bags, etc. The more places people see your logo, the more impressions you make. Go beyond the booth – Don’t just sit in one spot and expect attendees to come to you. Have a couple roving representatives handing out information or freebies that drive people to your booth. 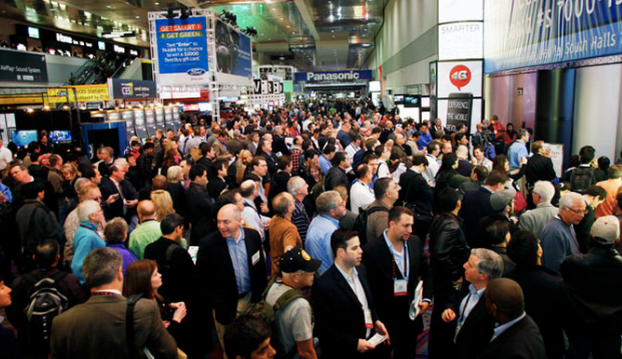 Set up a Wi-Fi hotspot – Trade show attendees love few things more than free internet. Provide them with a Wi-Fi hotspot and use the login screen as yet another spot to display sponsors’ logos. Veloxity mobile commercial charging stations with kiosks offer a great opportunity for sponsorship as they are custom wrapped and are a tried and true method to keep attendees at your trade show booth longer. Pair this with the suggestions above, and you’ll be cruising to sponsorship success.